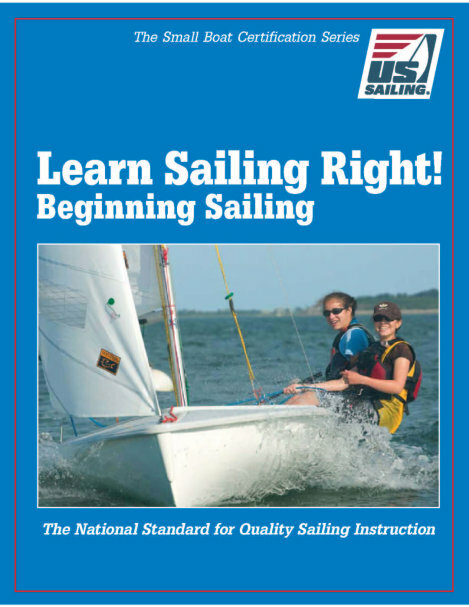 US SAILING, national governing body for the sport of sailing, has announced the release of Learn Sailing Right! Beginning Sailing. Written by the country's leading professional sailing instructors, the book helps beginning sailors gain confidence on the water by teaching them through easy-to-understand text and graphics. Following the learning sequence a beginning sailor would follow, Learn Sailing Right! starts with a tour of a typical small sailboat, then explains the concepts of how sails harness the wind to move a boat through the water. The next step puts the sailor on board the boat and describes how to steer and adjust the sails to go in the right direction. The book wraps up with seamanship skills that make sailing safer and easier. The foreword is by renowned sailing commentator, historian, and expert sailor Gary Jobson (a member of US SAILING's Board of Directors). "For the first time aspirant sailing might seem intimidating, but thanks to Learn Sailing Right!, one can quickly understand the concepts, thanks to simple diagrams and clear descriptions," writes Jobson. "This book gets right to the basics and serves as a practical guide and handy reference for the entire crew." The 64-page Learn Sailing Right! is now available online through the US SAILING store at http://store.ussailing.org. Cost of the book is $17.95 ($12.50 for US SAILING members). It is also available in bulk for less than $6.00 each at 100 units or more.